Big Finish has released a new trailer and cover art for the second volume of The First Doctor Adventures, out next month. 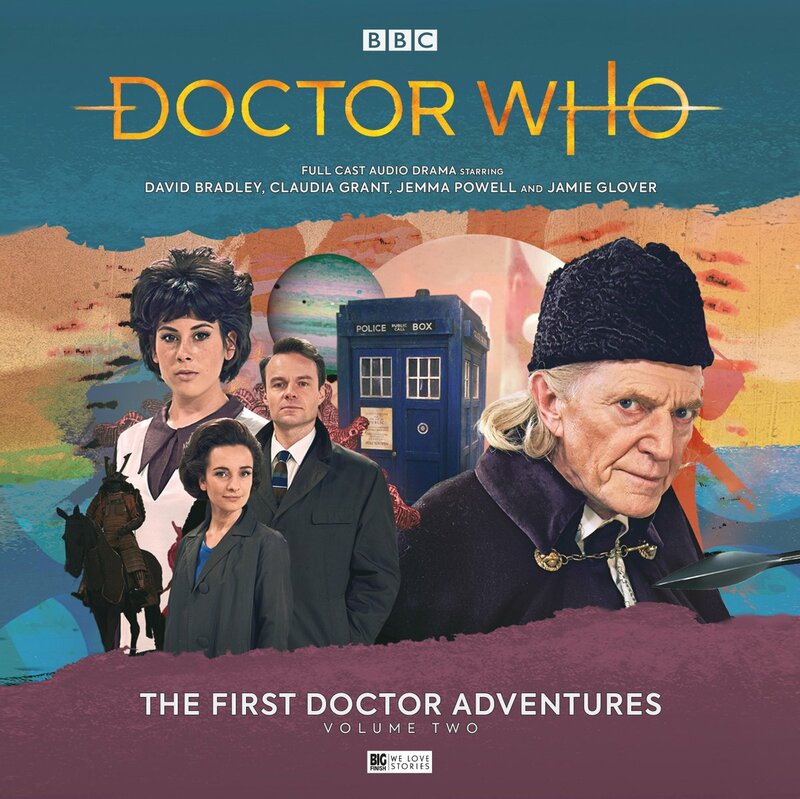 The new trailer, available to listen to through Big Finish, teases the continuing audio adventures of the First Doctor (David Bradley), granddaughter Susan (Claudia Grant), and companions Ian (Jamie Glover) and Barbara (Jemma Powell). Both writers are featured in this month’s edition of Big Finish’s in-house e-zine Vortex, with Dorney teasing a new alien species and Smith’s extensive story research revealed. Volume Two of The First Doctor Adventures is available to pre-order now ahead of its July 2018 release from Big Finish at £23 on CD or £20 on digital download. Both volumes are also available to purchase as a bundle for £45 on CD or £40 on download.